This makes my heart smile. I love your little Katie. Katie's thoughts on love are awesome! So sweet! Your little Katie is just too sweet! I love how you wrote everything down that everyone LOVES!! So cute! And can I have some of those pancakes??? Awww!!! Such a sweet post! And that food, I love that idea! That is the cutest pancake ever. Love the pancakes. Love the words. And love the sentiment. Love the shape of the strawberries and the pankake and you had a great idea of writing down the 'loves' of everybody to save it. To keep the memories how the kids were loving when they were little. I need to keep this in mind for my own family next year, hope you don't mind. Oh my goodness how CUTE is she!!! ??? And as the mom of 3 yr old twins myself I know that these little words out of those little minds are the BIG. STUFF. Love it! Pancake looks delish too! There is so much we can learn from kids! So sweet! Also? You made me feel like a terrible mom with those beautiful pancakes. 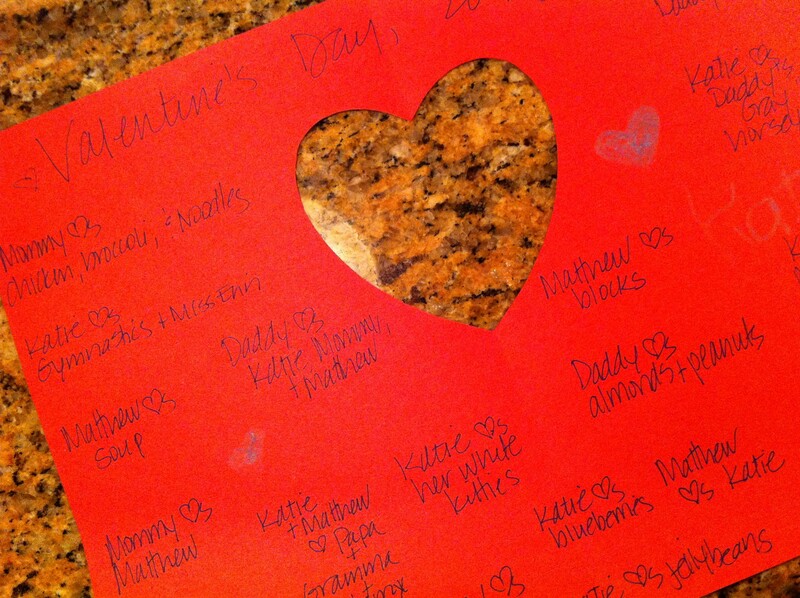 Isee blueberries and white kitty made the list, but "Katie loves noodles" MUST have been at the top of the list. precious! love little people. just LOVE them! Sweet! And that pancake is too cute. What a great idea! And so adorable. Oh, my goodness. The cute. This just made my day! I love little love! People should not be allowed to be this cute. I hope you have a plan to bottle this stuff! What a sweet post! This just put a huge smile on my face! I too love Valentine's Day! Very sweet of Katie. Love the pancake too! LOVE the pancake! too cute. Oh, that's so sweet! 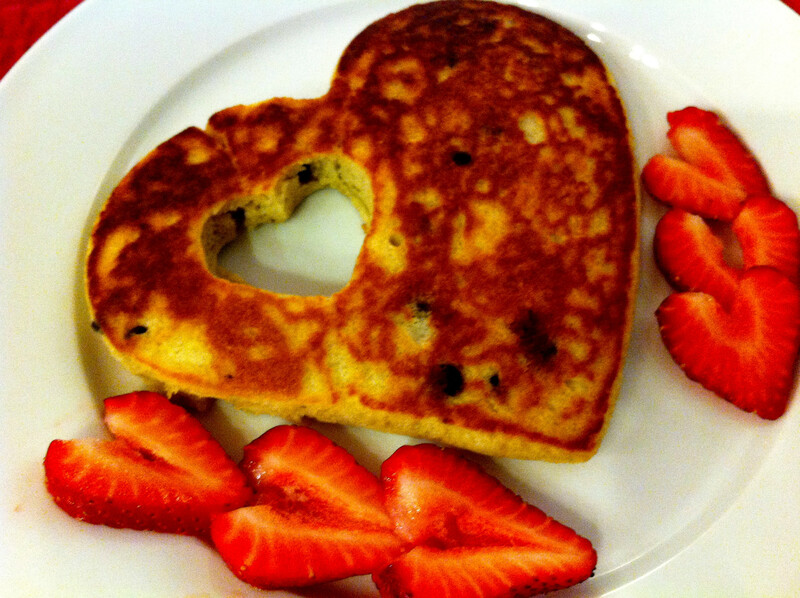 What a great idea…and I love the pancake.